Is this the year you change your career? As temperatures climb this summer, cool down with tasty and colorful frozen treat recipes for your next backyard barbecue or pool party. Offer everyone’s favorite summertime treats – ice cream, sherbet and sorbet – in unique and unexpected ways, such as in refreshing beverages, delicious cake bars or whimsical parfaits. Mold frozen ingredients into bite-size treats using melon ball scoops for mini ice cream sandwiches, or use ice cube trays to make mini-popsicles as mid-afternoon pick-me-ups. Summer is also a great time to pair frozen treats with seasonal fruits like watermelon, berries and peaches. Present these ingredients within vibrant, layered parfaits or use the fruit shells to act as novel serving bowls. For a more decadent spin, combine the frozen ingredients with more traditional dessert elements such as graham cracker crusts, shortbread or fruit pie filling. 1. Cut an oblong hole in the top of the watermelon. Scoop out the watermelon, remove seeds, and mash half of the watermelon, reserving its juice. 2. Mix the watermelon juice, lime juice and ginger ale together in a bowl. 3. 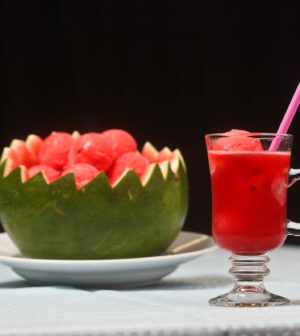 Pour the punch into the hulled out watermelon shell to one inch below its rim. Use the remaining punch to refresh as needed. 4. Top with small scoops of Baskin-Robbins Watermelon Chip Sorbet, and garnish each glass of punch with an additional scoop of sorbet. 1. In a bowl, combine the shortbread cookie crumbs and butter until well blended. Pat the mixture firmly and evenly into the bottom of a 9-by-13-inch pan or dish. 2. Spread the Baskin-Robbins Blueberry Cheesecake ice cream carefully over the crust. 3. Spread blueberry pie filling evenly over ice cream. 4. Freeze three hours or until firm. 5. Slice into squares and serve. For more delicious ice cream flavors and frozen treats, visit your local Baskin-Robbins restaurant or www.BaskinRobbins.com. Should you return the ring after a broken engagement? Women's Quarterly is a digital and print magazine and online community for women to inspire, empower and provide useful tips for our busy lifestyle. We feature real women on our covers and in our articles, providing realistic solutions. We are advocates of having a full circle healthy lifestyle - mentally, emotionally, physically, spiritually and financially. 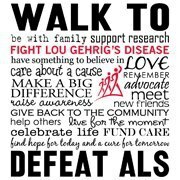 As a company we support the ALS ASSOCIATION with annual donations and as volunteers in the WALK TO DEFEAT ALS. Join us in the fight to rid the world of ALS. Copyright © 2017 Women's Quarterly. Women's Quarterly is a Registered Trademark of ICE Media Entertainment LLC. ALL RIGHTS RESERVED.